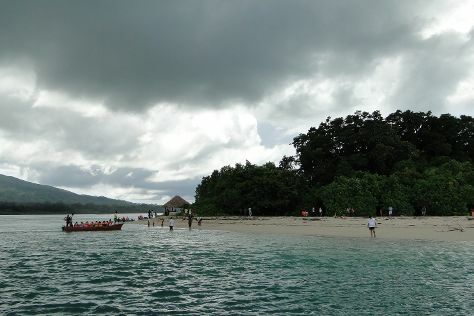 On the 16th (Thu), look for all kinds of wild species at Chidiya Tapu and then head off the coast to Jolly Buoy Island. For ratings, more things to do, photos, and more tourist information, you can read our Port Blair online route builder . Chennai to Port Blair is an approximately 4-hour flight. While traveling from Chennai, expect slightly colder days and a bit warmer nights in Port Blair, ranging from highs of 38°C to lows of 36°C. Cap off your sightseeing on the 17th (Fri) early enough to travel to Neil Island. On the 17th (Fri), take in the views from Howrah Bridge, kick back and relax at Laxmanpur Beach, then take a leisurely stroll along Neil Island Jetty, and finally enjoy the sand and surf at Bharatpur Beach. To see more things to do, maps, traveler tips, and other tourist information, go to the Neil Island trip builder app . Explore your travel options from Port Blair to Neil Island with the Route module. 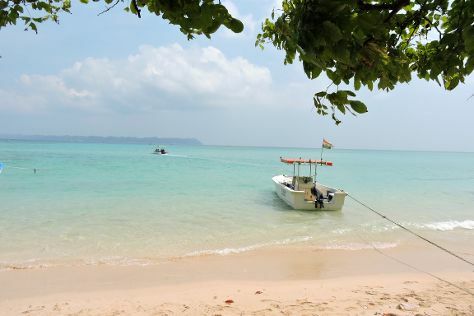 Wrap up your sightseeing on the 18th (Sat) early enough to travel to Havelock Island. Havelock Island is known for beaches, wildlife, adventure, nightlife, and nature. Your plan includes some of its best attractions: kick back and relax at Radhanagar Beach, tour the pleasant surroundings at Kalapathar Beach, get outside with Outdoor Activities, and step off the mainland to explore Inglis Island. For photos, ratings, reviews, and more tourist information, read Havelock Island holiday site . Use the Route module to find suitable travel options from Neil Island to Havelock Island. Finish up your sightseeing early on the 20th (Mon) so you can catch the ferry to Port Blair. To see traveler tips, where to stay, more things to do, and more tourist information, use the Port Blair visit planning site . Traveling by ferry from Havelock Island to Port Blair takes 3 hours. You will leave for home on the 21st (Tue).